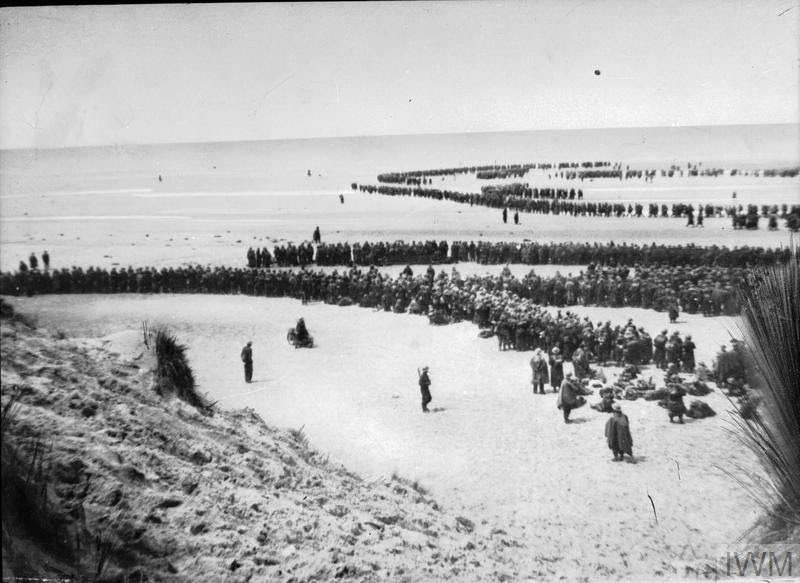 British troops line up on the beach at Dunkirk to await evacuation. Located amidst a cluster of graves in Brockley cemetery lies the gothic shaped family headstone of the Hedger family. 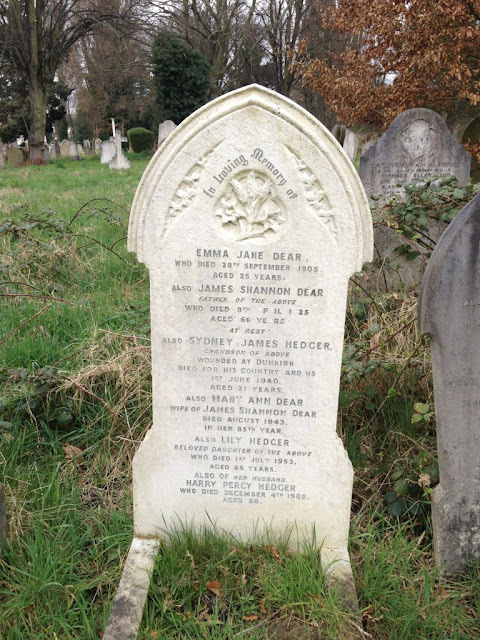 The stark details of Sydney James Hedger's sacrifice, lettered on the headstone, having been wounded at Dunkirk tell the viewer that ' he died for his country and us' on the 1st June 1940 aged 21 years as part of 91 Field Regiment and now lies buried in the familiar soil of South East London. 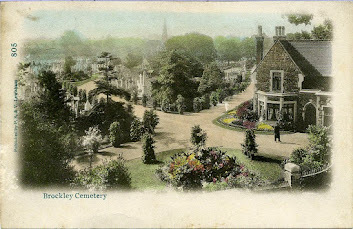 Sydney who was the son of Harry and Lily of Catford, is also remembered on the Brockley screen wall. 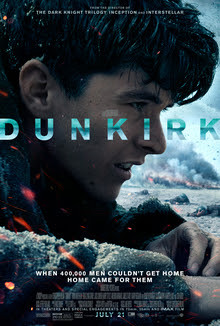 The recent release of the film 'Dunkirk' ( 2017) has once again brought to wider attention with its dramatic recreation of the evacuation, an evacuation codenamed Operation Dynamo, which saw the rescue of the British Expeditionary Force (BEF) and other allied soldiers from the French seaport of Dunkirk. 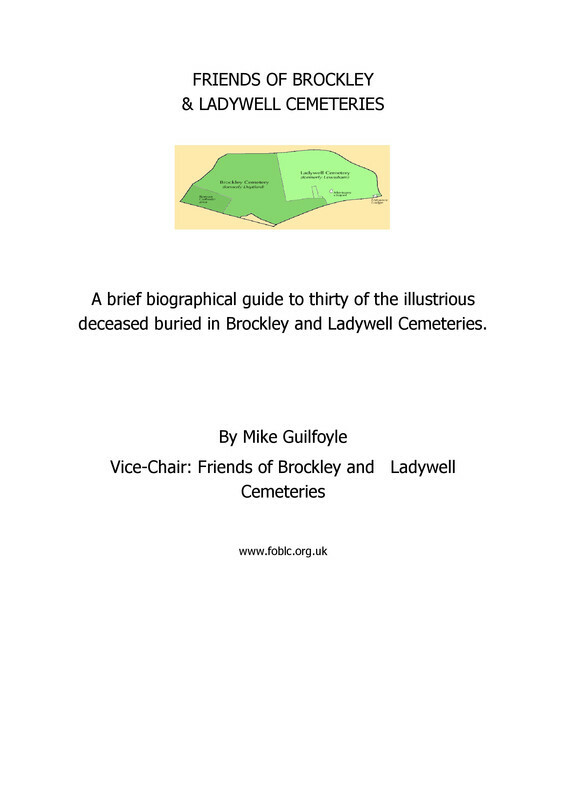 By 4 June 1940, nearly 350,000 troops had been saved. The evacuation associated with the troops trapped on Dunkirk, was called a “miracle” by Winston Churchill. As the Wehrmacht swept through western Europe in the spring of 1940, using Blitzkrieg, both the French and British armies could do little to halt the onslaught. For the people in Western Europe, World War Two was about to start for real. The “Phoney War” was now over. The advancing German Army trapped the British and French armies on the beaches around Dunkirk. 330,000 men were stuck here and they were a sitting target for the Germans. Admiral Ramsey, based in Dover, formulated Operation Dynamo to get off of the beaches as many men as was possible. The British troops, led by Lord John Gort, were professional soldiers from the British Expeditionary Force, trained men that we could ill afford to lose. From May 26th 1940, small ships transferred soldiers to larger ones which then brought them back to ports in southern Britain. The beach at Dunkirk was on a shallow slope so no large boat could get near to the actual beaches where the men were. Therefore, smaller boats were needed to take on board men who would then be transferred to a larger boat based further off shore. 800 of these legendary “little ships” were used. It is thought that the smallest boat to make the journey across the Channel was the Tamzine – an 18 feet open topped fishing boat which is now on display at the Imperial War Museum, London. Despite attacks from German fighter and bomber planes, the Wehrmacht never launched a full-scale attack on the beaches of Dunkirk. Panzer tank crews awaited the order from Hitler but it never came. In his memoirs, Field Marshall Rundstadt, the German commander-in-chief in France during the 1940 campaign, called Hitler’s failure to order a full-scale attack on the troops on Dunkirk his first fatal mistake of the war. That 338,000 soldiers were evacuated from the beaches at Dunkirk would seem to uphold this view.